MKV, short for Matroska Video, is commonly used to distribute subtitled anime clips. It packs multiple types of files into one file. For example, it may contain subtitles files, audio tracks and multiple video tracks all contained within one file. That means your MKV file is always very large. To reduce the size of MKV, Wondershare UniConverter (originally Wondershare Video Converter Ultimate) can help you. 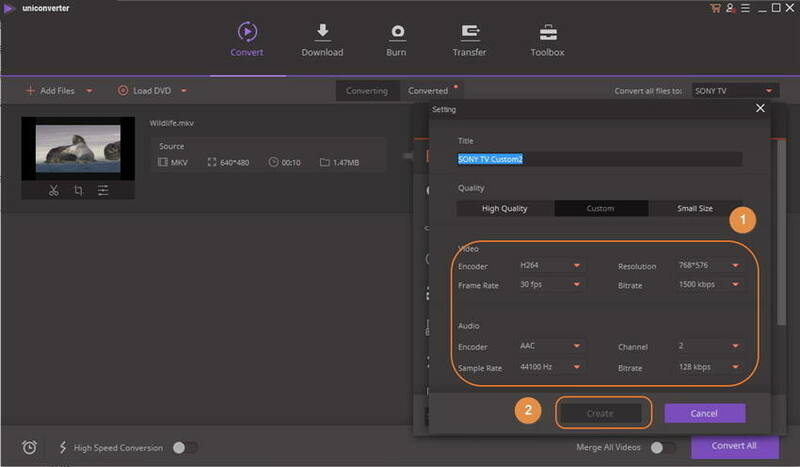 It can easily reduce the size of MKV by reducing resolution, video and audio bit rate or converter MKV to other formats as you like. Edit, enhance & personalize your videos file, incuding reduce video size, crop video, add watermark, etc. Want to try Wondershare UniConverter (originally Wondershare Video Converter Ultimate) out? Just follow the steps below to compress MKV size in a few clicks. Download and launch Video Converter. Click the Add Files button and browse for the MKV file you want to reduce in the file selection window. Select the item and click Open button to load it to the software. You can also directly drag them into the primary window. Click drop down list near Convert all files to, and a window will pop up. 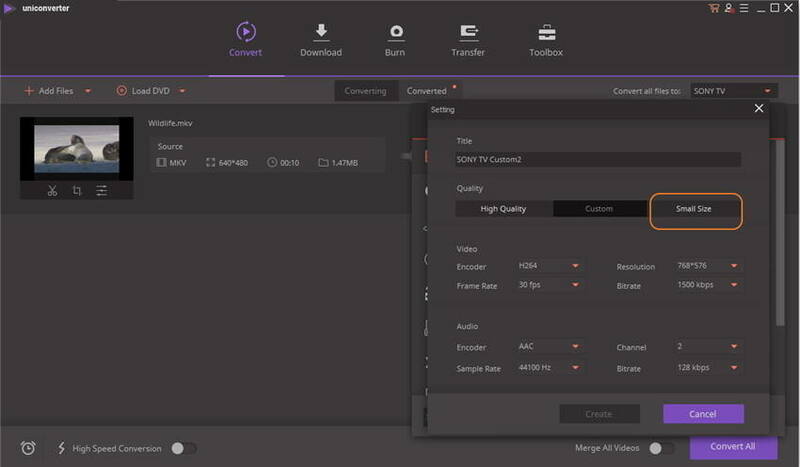 Choose Video category and click Create Custom button in the right bottom to adjust the parameters manually, you can choose the viewing dimensions that are smaller than the original MKV file. For example, click the Bit Rate pull-down menu in the Video section and reduce the processing speed and do the same for the Audio section. 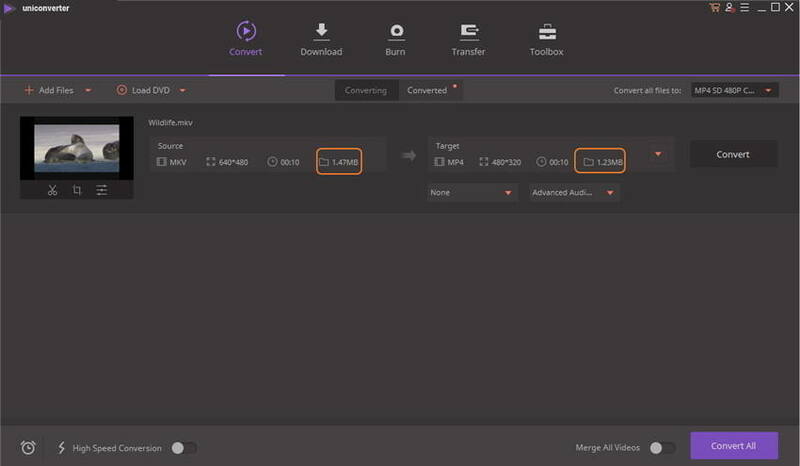 This video converter also enables you to automatically reduce the size of MKV. To do this, switch to the Small Size tab and click Create to confirm. Tip: To greatly reduce the your video size, you can also convert the original MKV file to other format if the format doesn't matter. After that, you'll return to the primary window and find that estimated file size of output file is greatly reduced compared with the original one. Now you can click the Play icon to preview and check the output video quality. If you're satisfied with the compression, click Convert button to activate the file conversion. The program will display the file directory of the compressed MKV output file when it becomes available. 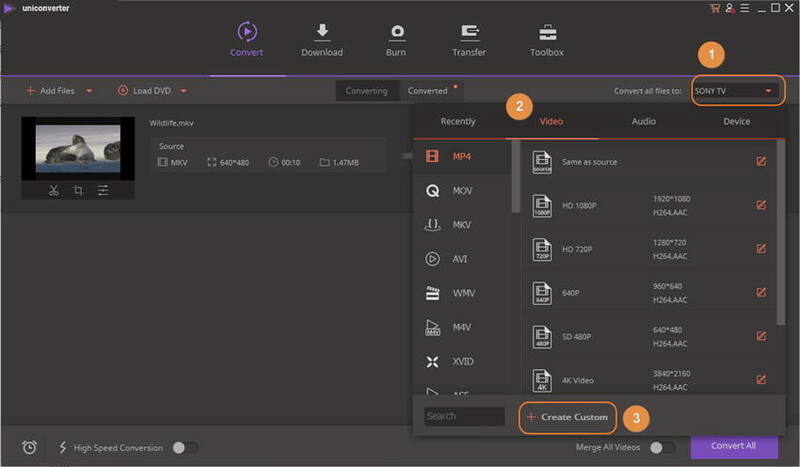 In fact, as a full-feature converter, Wondershare Video Converter also supports other 150+ popular video and audio formats including TIVO, AVI, MP4, MPG, MPEG, NUT, H.264, MP3, M4A, AC3, AAC, WMA, WAV, OGG, APE, MKA and more. 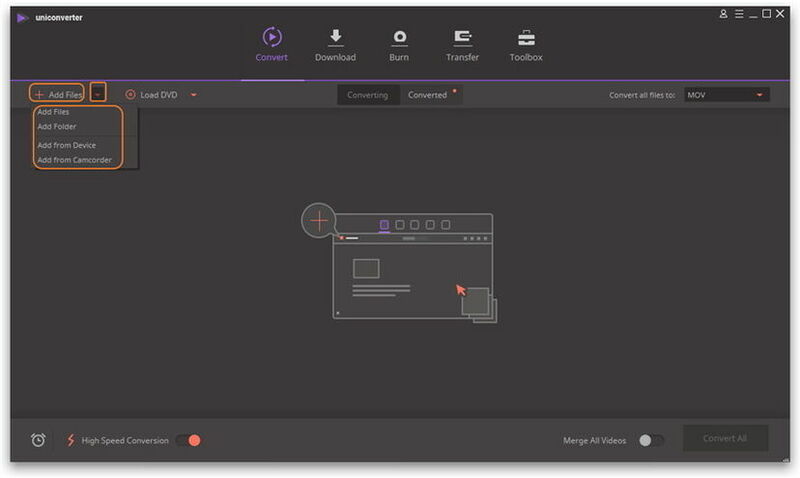 Now download it and explore more features of this powerful video converter!